All items are handmade and unique. We’ve tried to make sure the photos give an accurate representation of color and shading, but the stones can vary greatly from one quarry to another. Many color variations can be found. 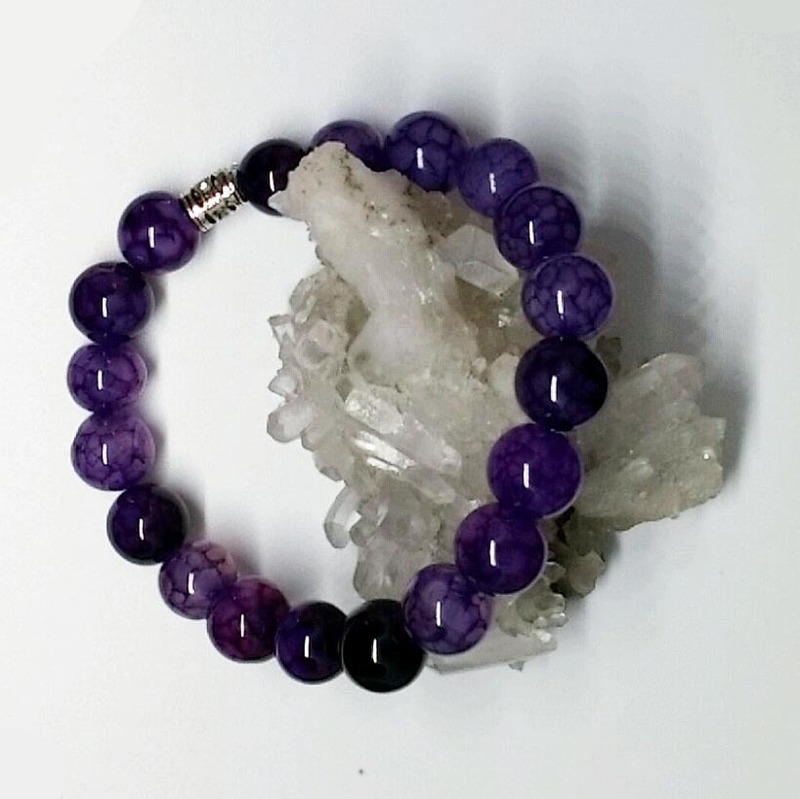 Stretchy bracelet made with 10mm purple dragon vein agate is a real attention-getter. 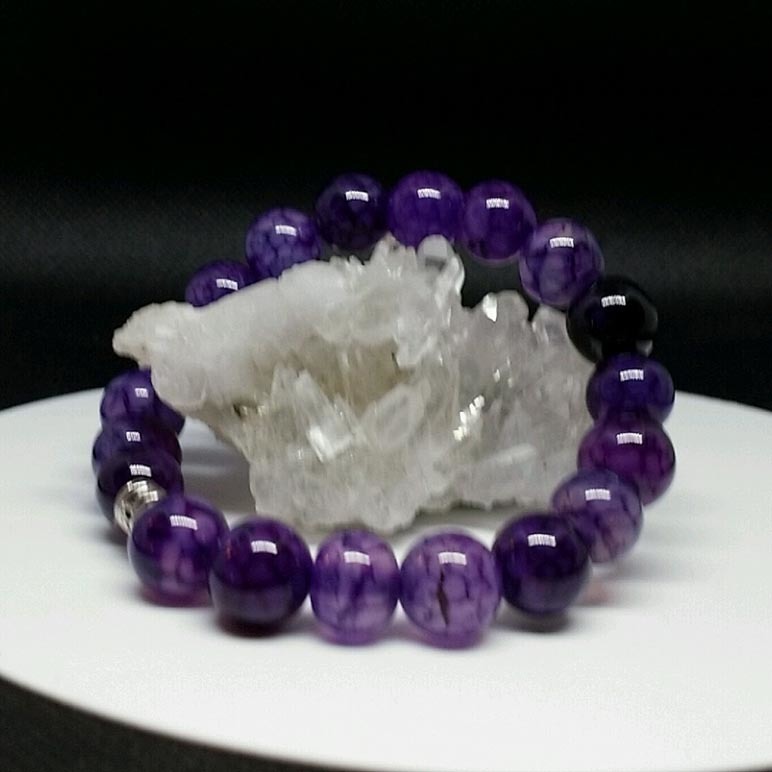 Agate is said to help treat disorders of the pancreas and to improve circulation. 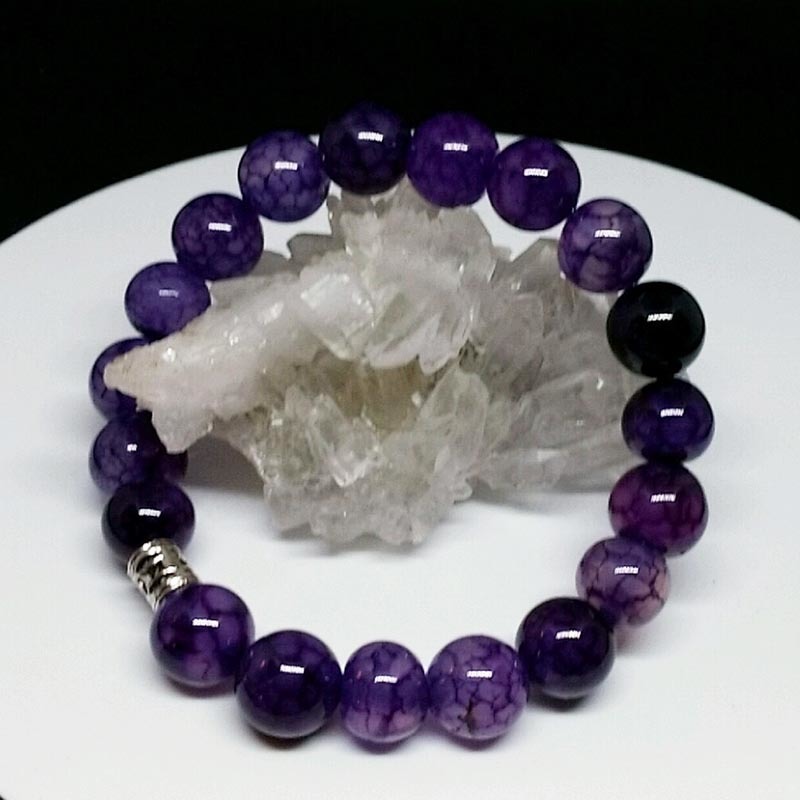 It is also a balancing and cleansing stone that can help bridge the gap between head and heart.